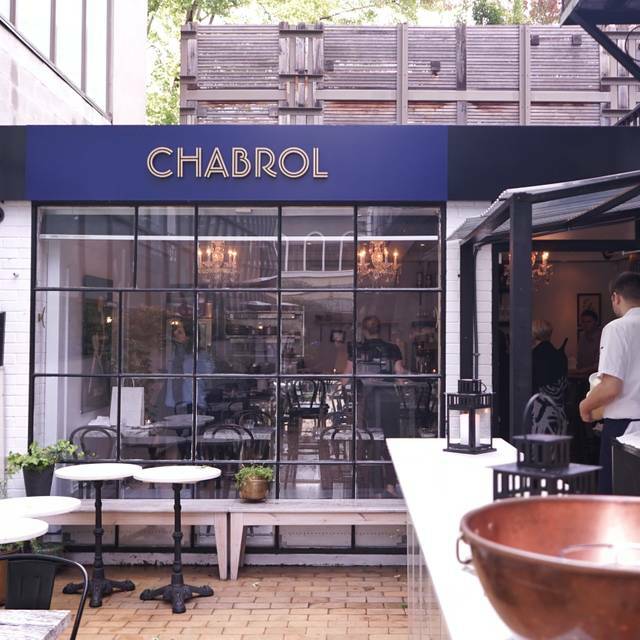 The most convenient parking for Chabrol is the Green P located on the North side of Yorkville Ave. just West of Bay St. The most convenient public transportation route would be to go to BAY STATION and walk North to Yorkville Ave. The Chabrol team is happy to engage any and all catering requests and we will tailor your event to your desires. Please call 416.807.2227 or emails us at melody@peertopeerhospitality.com to inquire. The perfect little room that is Chabrol is available for private events. Please call 416.807.2227 or emails us at melody@peertopeerhospitality.com to inquire. A quiet café hidden off Yorkville Avenue. 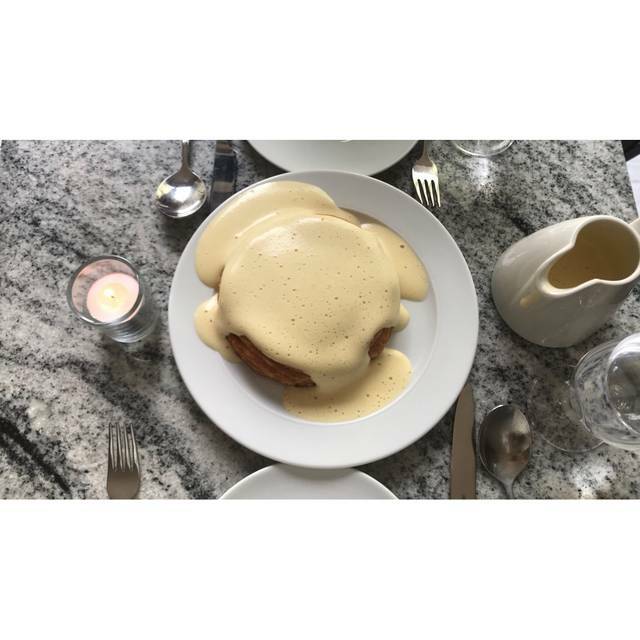 Chabrol Cafe brings a small taste of Southern France and encourages you to lose track of time. We allow a dining time of two hours for a group of two diners and two and a half hours for larger groups during evening hours. If you desire a longer dining time, please call us to arrange. Reservations made online will default to our dining room indoors. In order to reserve on the terrace or at the bar, please call us directly. In order to reserve a table on the evening of February 14, please call the restaurant directly. Credit card information will be required to hold a table. Amazing food prepared in a very small kitchen. Really enjoyed it. What a lovely discovery in Yorkville! 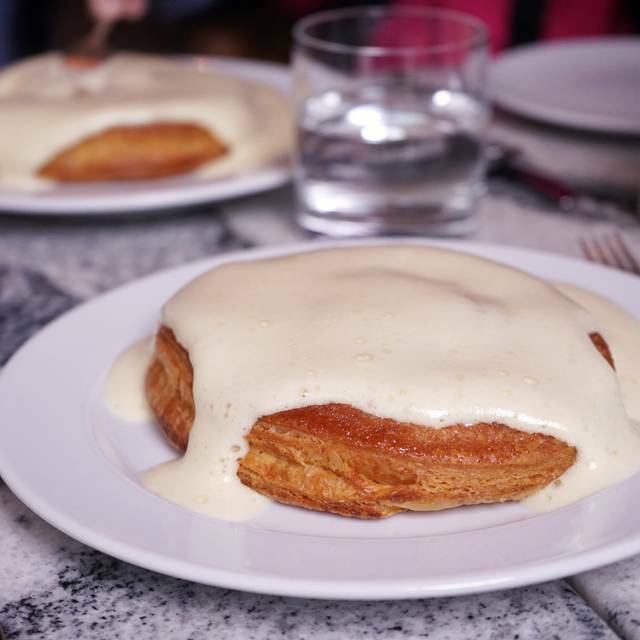 Incredible dessert tarte Tatin /sabayon Calvados! The Rougets were perfectly boned and deliciously prepared! 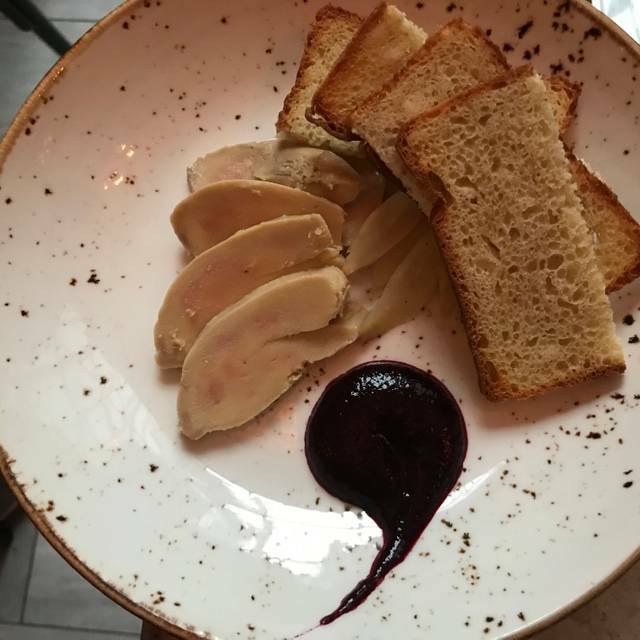 The Riesling poached foie was also perfect with salsifies and black current! We will be back for the authentic French flair....to appealing to take photos before eating?! 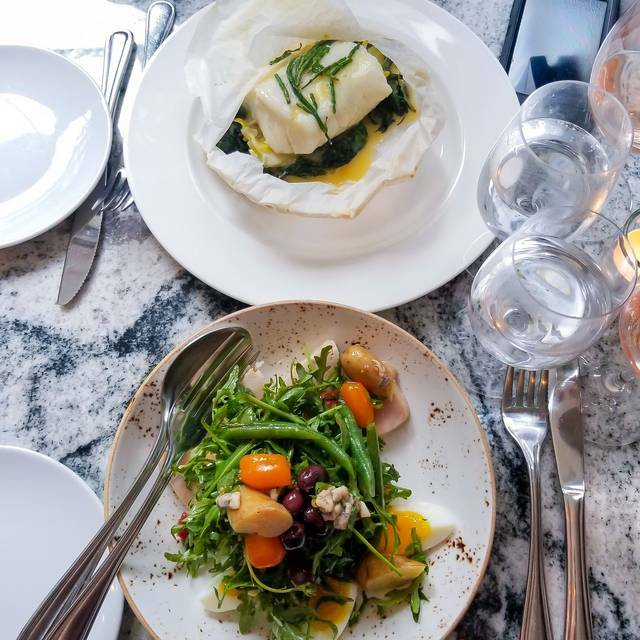 Down the alleyway on the west side of 90 Yorkville, a tiny perfect French bistro that you can count on when you want your evening to be perfect. Delicious meal, great wine recommendations, great service. Lovely and tiny little spot. Cozy. Delicious food. Small location is the only downside. Otherwise great place. Would return. Food was great, and the creme brûlée was amazing! However, it’s a tiny spot with almost no room to sit comfortably. It feels like a cafe with a super expensive menu. We felt that it was way overpriced for the atmosphere! Chabrol is a great spot to go to. Really well cooked food and a solid everyday menu that meets most tastes and diets. I would highly recommend this for foodies, quiet lunchers, couples, or if you want to have an extended lunch. Its a very small intimate setting and you'll get to know your server really well. It's impeccable so it's fun. In the warmer months there is outdoor seating which more than doubles their capacity. Take advantage! The food was amazing, the service great, the restaurant loud. The bathroom is in another section which you must access along a long dark hall with a high step that is not marked. I fell and hurt my shoulder very badly because I tripped over the step and fell into the edge of the open glass door. The staff were absolutely unapologetic. The server said it has never happened before; the manager just shrugged when he was told. They need to make it very clear there is a level change in that hall. They also need to be kinder when someone is hurt because they have not marked the step properly. Wonderful food - everything was so good. I had the lamb main - best ever. Melt in your mouth with a sublime sauce. 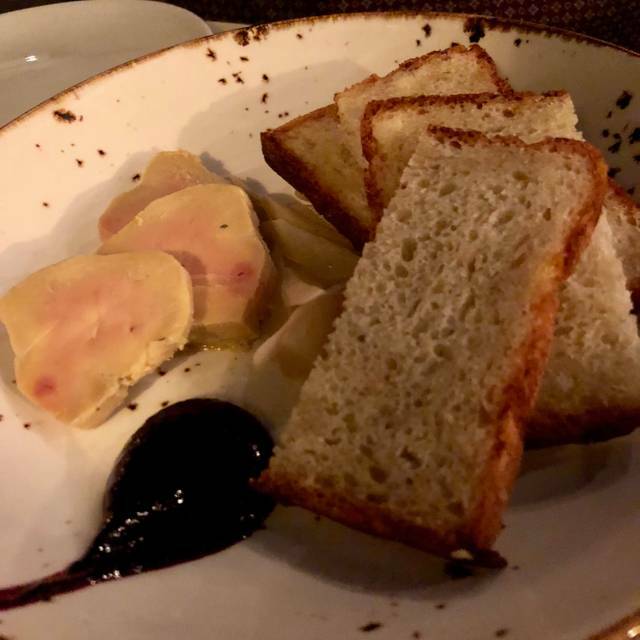 Foie gras app was silky smooth. Unfortunately no time for dessert. Limited menu and wine list but would like to try everything. We will be back. Very small room - only 5 two-person tables and 10 seats at the bar. With only hard surfaces, it did get noisy when full. We had an excellent meal in Chabrol's cozy cafe over the holiday weekend. The food was excellent; I had a delicious medallion of lamb and my wife enjoyed a steamed whitefish dish. The baked apple and cream foam dessert was 👌👌👌. We're excited to come back for another special dinner in the near future. One of my favorite restaurants in Ontario, highly recommend! Food and service was excellent. The ambiance was not at the same level... the entrance way needs to be updated and space is obviously at a premium. Overall, the cafe visit was excellent. 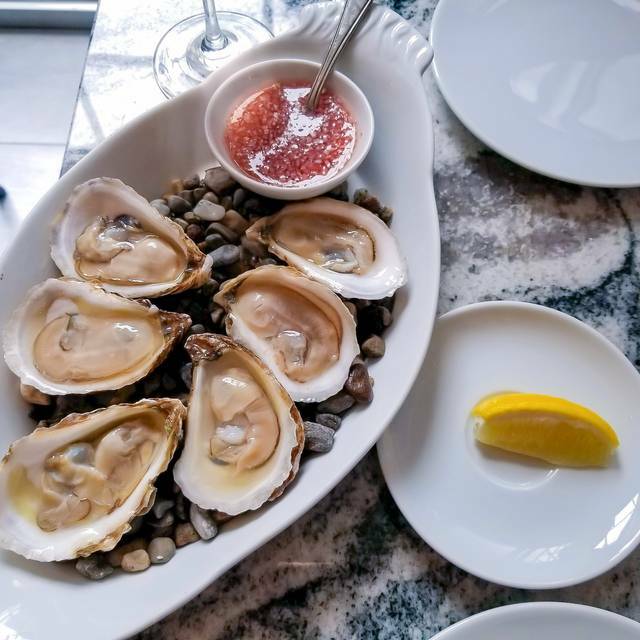 Althought super hard to book and expensive, Chabrol is a must-go for all foodies in Toronto. A must-get item on their menu is the Apple Tart! The food was outstanding, as usual, and the service attentive. The noise level was a bit high due to a party of six at the next table. I am a regular client of Chabrol and look forward to visiting Chef Penfold's other restaurants. Food was superb but the the room felt like a garage. The more confortable looking secret “trial restaurant” at the side with the separate menu was not offered to us and made us feel like second class citizens. Had a fantastic evening at Chabrol. The new dining room is elegant and comfortable, the service was was very well timed and never intrusive. We had a top tier dining experience that I would suggest for anyone looking for something special. the service made the excellent food even more enjoyable. Chabrol is a lovely, intimate lunch. Although the terrace is lovely in the summer, it’s also a great place to eat on a sunny winter day. I had the soup and beet and brussel sprout salad and both were great. Unfortunately I didn’t have room for dessert which is usually a highlight. We lingered over lunch and the service was attentive and we didn’t feel the least bit rushed. Highly recommend. The food and service was amazing. Fabulous dining experience. Would highly recommend. Attentive service despite a packed Monday lunchtime. Crunchy toast holding smoked trout followed by a velvety light quiche in a flaky pastry. A very special lunch to support our reminiscing. an excellent meal with exceptional service from Sam. it was delightful way to spend the afternoon. Chabrol was amazing! We went for my girlfriend's birthday and it was phenomenal. We had the Foie Gras, Ttoro and Lamb. 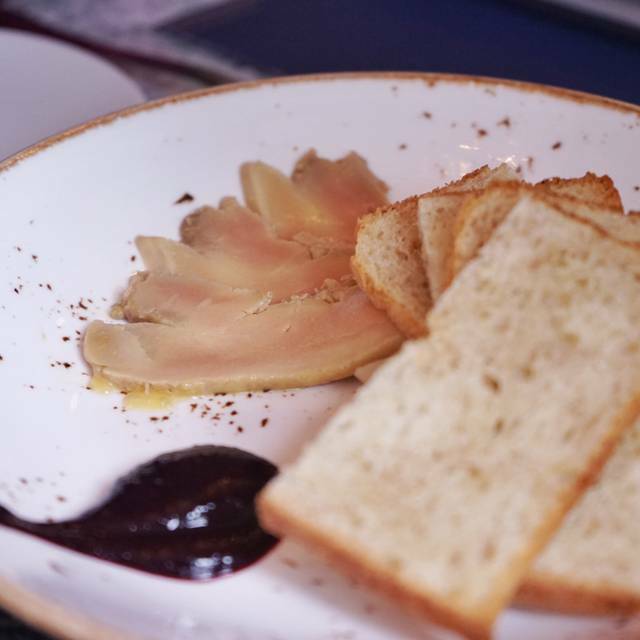 The Foie Gras had amazing texture and taste, could have had some more bread to go with it but still amazing. The seafood broth in the Ttoro was spectacular, there was so much flavour in the broth. Would definitely recommend to anyone looking for a great resto. Incredible food, artfully prepared. I highly recommend it. Excellent place for a romantic meal, sure to be memorable and a favourite. We had an early 4:30 seating prior to a 7:00 event, my wife and I throughly enjoyed every aspect of meal from start to finish. The good thing was we were the only ones in however the the kinda awkward part was we were the only ones there. Food, service and atmosphere were great! Went there for brunch and ended up having fish and bubbly. Exceptional on all levels for such a small place. Will be back for sure. An amazingly romantic spot, with delicious French food. Staff makes you feel special and cared for. Can’t wait to go back! Very friendly, professional service; small room, so not loud from other guests, but many hard surfaces. Food was very good, but not "memorable". A nice, intimate space, hidden away - a really nice experience. Pretty spot tucked away in Yorkville, lovely service although a little slow despite not being very busy at first. Would go back again! The absolutely best bouillabaisse I have ever eaten!!! A marvellous experience from beginning to end! 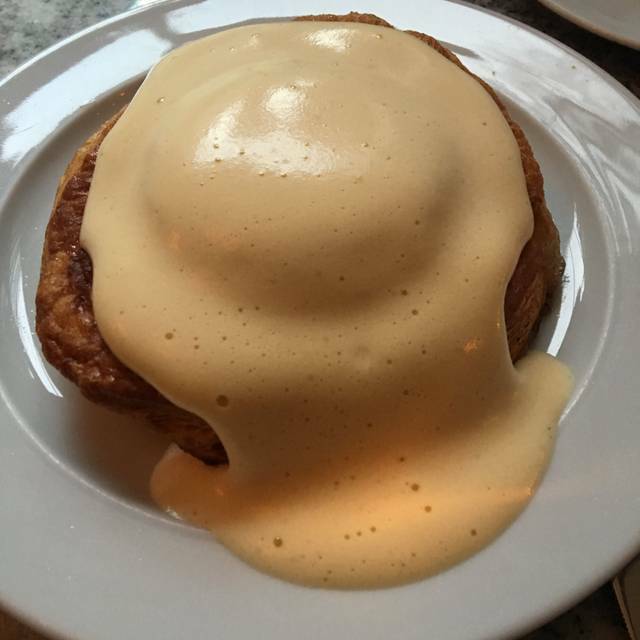 The apple tarte tatin with the sabayon is truly magnificent. Finishing recommendation of the Calvados Fremont was a delight.